Sunday July 18th 1976: Tonight Joe Frazier's third place Mets (48-44) were hosting Dave Bristol's; fifth place Atlanta Braves (41-48). Carl Morton (0-6) (the 1970 NL Rookie of the Year) took on the Mets veteran Mickey Lolich (4-10). 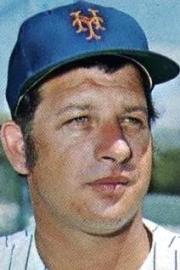 Lolich had come over from the Detroit Tigers, in a deal that sent the popular; Rusty Staub to the Motor City. Loilch's best days were behind him, back in the sixties /early seventies, he had been one of the game's best left hander's. 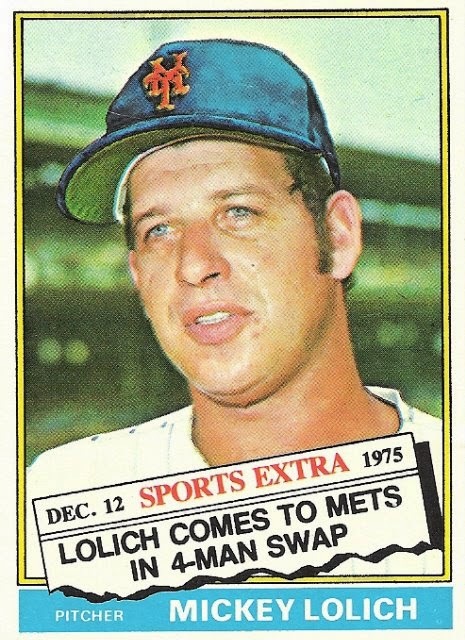 In a deal that never made any sense, the Mets traded away Staub one of their biggest RBI guys on a team that didn't score many runs & brought in Lolich on a Mets team with a strong rotation. 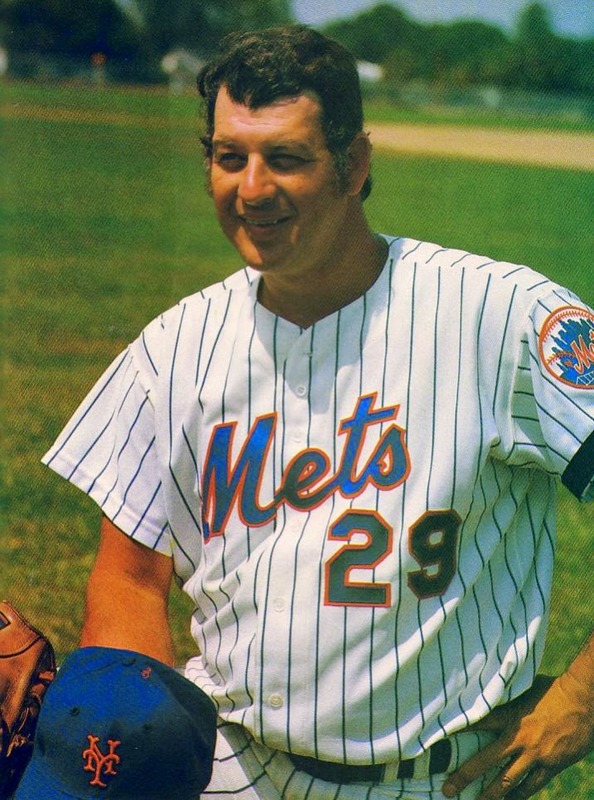 Lolich had pitched a three hit shutout against the St. Louis Cardinals three weeks earlier but tonight he would be even better, his best outing as a New York Met. Lolich retired the Braves in order in the first two innings. In the 3rd he gave up a single to veteran Darrel Chaney, drew a balk call but then retired Jerry Royster to end the inning. In the 4th he gave up another single, this time to "the toy cannon" Jimmy Wynn. Lolich would retire the next 17 of the next 18 batters without allowing a hit, completing a two hit shutout. Although he struck out just four, the left hander was outstanding. He walked no one in the two hit shut out performance. With all the bad press & unpopularity he received in New York, his ERA was just 2.69 although he was 5-10 at the time. The Mets provided some offense on a Felix Millan RBI single & Dave Kingman's 32nd HR of the year. Kingman was on a pace to hit well over fifty HRs that year, but he would only play in 33 more games that season due to injury. Lolich would win his next start & then put in a nine inning one run performance on July 29th, only to have the bullpen blow it for him.